Disney has always had size limitations on strollers. Currently, strollers must be smaller than 36" by 52" and no wagons (or items of any sort that could be pulled behind you) are allowed. 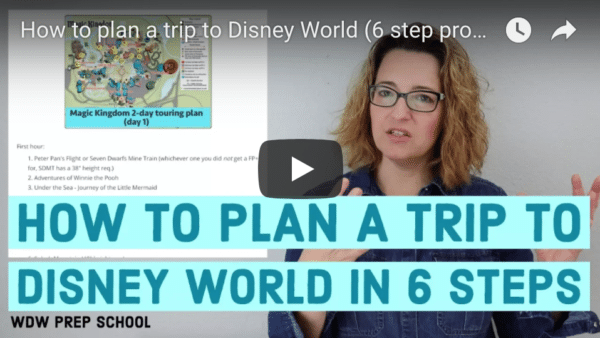 However, starting May 1, 2019, Disney is changing the policy a bit. The new policy sets the maximum size for strollers at 31" (79 cm) wide and 52" (132 cm) long. In addition, "stroller wagons", which are a popular hybrid, will be prohibited even though most are technically "pushed" and not "pulled". If you are renting a stroller and will be visiting after May 1st it is recommended that you confirm the size of what you are renting fits the new requirements. Read more about all of these updates on the Disney Parks Blog. Often times it's much cheaper to actually buy a stroller than rent one at a theme park, even if you're just going to leave it at the end of your trip. About a week before your trip will usually work but will depend on the shipping method and origin. To be safe, try to get it there a couple days before your trip. Here are the addresses to all of the Disney resorts if you'd like to ship items there. Asterisks below mean that the hotel is considered a convention hotel and you may be charged a fee for a package to be delivered. All Disney resorts (including those that aren't convention hotels) have also started charging a $5 fee for any package being delivered, however these charges are not consistent. If you don't want to bring or buy a stroller, you can always rent from 1 of many stroller providers, including renting strollers within the theme parks of Walt Disney World themselves. Just keep in mind that if you have a stroller with you at all times that you'll end up having to fold and unfold it to ride Disney buses. If you have bigger kids who don't use a stroller at home but will be really tired from walking miles each day, rent one of the bigger strollers from Disney or one of the rental companies like Magic Strollers who have bigger strollers available. What are you planning to do for your trip? Or do you have questions about which Disney World stroller option makes the most sense for you or how to rent a stroller at Disney World? I recently read that I can save time by paying for stroller rental at gift shop in my Disney Hotel. I can then show receipt at Magic Kingdom for quick pickup. Is this true ? We decided to go to Disneyworld a day early so I called around to see if we could have one delivered or picked up same day. I understand it is last minute but when I called A Baby’s Best Friend the guy was incredibly rude! He yelled at me and said it was Spring Break and he not only didn’t have any available the same day, but not any the whole week then hung up on me! We ended up getting one from K&M Rentals which was awesome because it was last minute and it was close to Disneyworld. The only negative was it was not the cleanest and was definitely worn. I didn’t even see it in the searches for rentals but the Ritz recommended them. Kingdom Strollers were VERY friendly on the phone and offered to bring us one but it would be later that day. I would rent from them next time. Definitely recommend renting a stroller though (not from the parks)! It did made things so much easier. We need a double stroller with a board to attach to the back. Are there any rental companies that can provide this? has anyone used A Baby’s Best Friend? I’m interested in renting other things as well, but am hesitant because they are a lesser know company. Thoughts? I’m considering using a bike trailer that converts to a jogging stroller… it seems to fall below the dimension requirements and can fit my 4-year-old, two-year-old, and 13-month-old all together (cozy), or can be used as a flat bed for the 13-month-old… it has two 16-inch tires in the back and a tiny 5″ tire up front… is anyone familiar with this kind of thing and has used it at the parks? (We’d be driving each day, so while yes, it folds, there won’t be a need to. Thanks for any guidance! Outside many rides, play areas, and restaurants are “stroller corrals” that are supervised by Disney cast members who park it away for you and even help you pick up the right stroller upon your return. It always helps to have a bandanna or other marker to help identify your stroller since a lot of people have the same one. Help please! We are taking our 18 month old and I cannot decide on bringing our City Mini GT or just renting one? Thoughts? Thanks! We rented through Kingdom Strollers and didn’t regret it a bit. After a week in Disney, being folded, unfolded, going over curbs, kids jumping in and out, etc. you’re gonna have some wear and tear. Took a few tries to learn how to fold/unfold but by day 2 I was pretty much a pro. You will have to fold it up to get on the busses and boats (I would usually stand by the door with the stroller while my wife and girls took a seat) but we didn’t have any issues finding room. 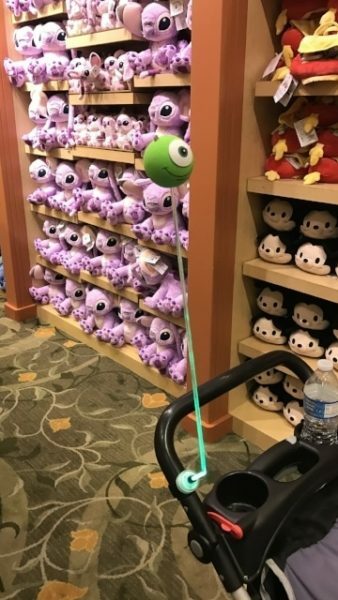 People go out of their way to be nice to each other and help each other out in Disney. I’m torn between renting the GT double mini or the BOB double for our trip. Wondering if the single wheel on the BOB is hard to get on and off the monorail? Would the GT with 2 front wheels better? Does anyone have experience with strollers and the monorail? Ok I know this sounds crazy but we are renting a stroller for reasons other than kids. Our girls are 12 (65lb) and 13 so they will be walking. Have you heard anyone using it to carry stuff and in case my back starts acting up. Thoughts? 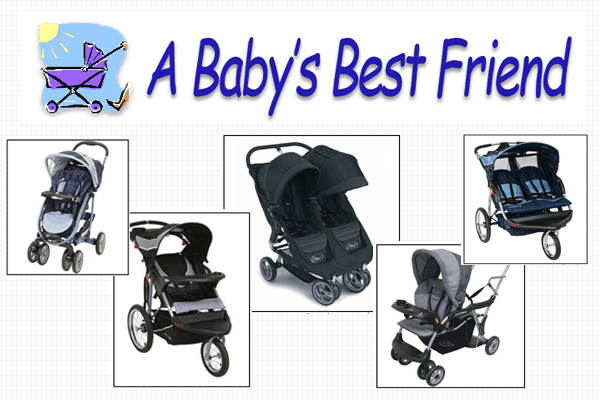 Has anyone rented from A Baby’s Best Friend of Simple Stroller Rental? Is one better than the other? Cleaner? when using our own stroller, should we be prepared to lock it up when inside restaurants if it is a quality stroller? is that a problem with personal strollers?? I know this is an older post but we are heading to Disney in oct. I have a 63 lb 7 year old, 42 lb 6 year old, and 30 lb 2 year old. We want to get a double stroller which should we get? I see the city mini gt at magic strollers says it can be used for kids up to 65 lbs each but every other site says 50lbs each on the same style stroller. I’m confused. You can also see the 65 pound weight limit listed at the bottom of the Baby Jogger site. What did you end up doing? We are going in November and have twin girls both will be no more than 30lbs (2.5 yrs old) at the time and I’m stuck between renting and bringing. I was searching for someone with a similar situation but haven’t come across one. We are going in November with my 8 year old who is tall and about 80lbs, my 6 year old tall stick child at 43lbs, my tall 4 year old son at about the same weight 40lbs, and my little 3 year old daughter at almost 30lbs. 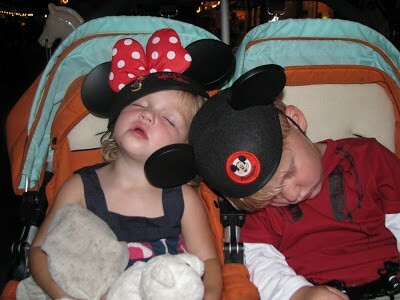 I’m definitely renting a double stroller from kingdom strollers for my youngest two, but I know my older two will tire. I’m considering for them renting a double Disney stroller at the park when they need it. I doubt they’ll fit in together but they can trade off. I figure it’ll be easier to put them in something then having them whine or lag behind. Any thoughts? We rented from Kingdom last November and had a great experience! I had a little trouble figuring out the best way to fold it, but once I got that down it was a breeze. The only real problem was the bulkiness of the folded stroller on a full bus! But they all have that issue. What did you end up doing Alison? I am taking my 6 year old and 3 year old to Disney next week for the first time and I’m not sure which option would be best?! I like the idea of leaving the stroller at the park, but I’m worried about it not being very comfortable if one of them gets tired and falls asleep. Has anyone used Baby’s Away? The pricing on the double jogger is really good, but I was wondering if they deliver to Disney resorts, and what that charge is, plus any other insights would be appreciated! They have a disclaimer buried in their site that they do not deliver to Disney resorts. Thanks for the helpful write-up! I’ve had a number of people ask me about these services in the past and unfortunately, all I could tell them was that they were probably a better choice than renting from WDW. I’ll definitely be bookmarking this post. I have 2 older kids, 5 and 7. Combined they weigh a total of a little under 90 lbs. When it says they have options for kids over 75 lbs does that mean per kid or total? I was thinking of getting a double, but want to make sure my kids wont tip it over. Just got back from a trip and we used Kingdom Strollers for a Bob Revolution single. The first stroller we got was the older model. It didn’t have the hookups for our snack tray, which was no big, but it didn’t have the clips on the bottom to securely close the stroller when it was folded up. That was kind of a deal breaker for my husband. We called at 7am on Monday, and someone actually answered the phone. After some texts and pictures, we arranged to have a different stroller delivered that evening. The response was so prompt, I was amazed. Even when they forgot to give us the rain cover on the second one, a driver dropped one off 30 minutes later. I didn’t even have to ask to have things resolved this quickly. We’ll definitely be using them on future trips, although we’ll have to rent a Bob double stroller then. 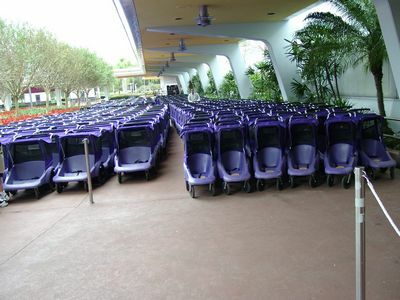 Are those purple stollers still the strollers at WDW? I see pictures of some tan and blue ones that look nicer. Impeccable timing! This was next on my rundown to make sense of for our first excursion in May. We are driving and could take our own particular however we don’t have a twofold, so are taking a gander at leasing. Does everyone pay for the insurance for the stroller rental? Is it worth the extra bucks? Hello. We just rented a stroller from Orlando Stroller. The company requires you to pay through Pay Pal. Pay Pal stated that its members are covered for certain purchases. I am not sure if this applies to stolen or damaged stroller rentals, but it may. Additionally, if you pay through a major credit card, the credit card company may offer you some level of coverage on purchases. You may want to give them a call before you decide to pay extra for insurance. Just an FyI for everyone, we used Apple in May and I would not go back. We rented a double stroller and while it was there when we checked in, it was in awful condition. There were rips in the fabric and one of the canopies was broken. I called them right away and they told me they would have their repair person call me. Thanks, Shannon for a great overview of stroller rentals, and thank you, Curtis T, as well. Perfect timing! This was next on my list to figure out for our first trip in May. We are driving and could take our own but we don’t have a double, so are looking at renting. We are heading to DW in October from PA. It is our first time traveling with children on a plane. We have a City Mini GT double stroller and LOVE it! We planned on taking it with us but then we saw how expensive it would be to travel with it. We are even considering mailing it down to be there when we arrive. I guess my question is.. do I bother doing this or should I plan on renting? What did you prefer? Our son is going to be 5 that week and our daughter is 2. Experience on taking the double on the crowded buses? Any opinions are greatly appreciated! OR would we be better off purchasing two strollers (umbrella or a little nicer) to take along? Why will it be expensive to travel with? What I have seen some people do with two children is they bring one full size stroller and one cheap umbrella stroller. They hang the cheap umbrella stroller on the full size stroller when not needed. Then they pop it open when needed. Geez what a brilliant idea 🙂 This just solved all my problems. I am taking my 90 lb 6yo, 30LB 2yo, and my 8week old in July…. I was thinking about the double disney one bc it seems best for my big ole boy, but now I’m wondering what to do about the baby….I was going to just use a baby carrier but wanted an option for when we get too hot. I wanted something that all 3 can use even if not at the same time. Advice? All of this information is a great help, but i was wondering if those foldable wagons are allowed in the parks. I was planning on taking one for my two older children who will be 5 and 7 for our October trip. 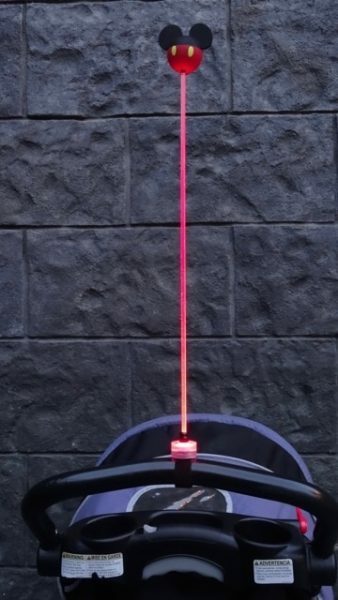 I will be taking a stroller for my 1 year old, but wanted an option for my older two when they get tired, and i thought a fold up wagon would be more practical than another stroller. I can’t find any information whether or not they’re allowed or if you would recommend them. The table at the end is very helpful. Thanks for doing all my research for me and for helping me make a quick decision! I have rented in the past from Baby Wheels and Kingdom strollers. No reason to change, just forgot from year to year who I went thru. For the past couple of years I have gotten the City Mini Double GT. It rides smooth, lightweight (I can lift it onto busses myself), and my kids love it. We are going again next month and my 6 year old (52lb, 49″) asked me I was getting the same stroller for him and his 2 year old (28lb, 40″) brother! Last year my 6 year old would curl up in a ball in the seat and take a good nap. Totally comfy. The GT model has more head room too. Some say you don’t need strollers for older kids but you walk an average of 5-8 miles a day. Thats tiring for little legs! Plus its nice to throw in snacks, bottle waters, etc in the basket of the stroller instead of carrying them. Thanks for the info about the GT model. My husband and I are taking our 5 yer-old grandson to Disney this fall and I was debating about which model to rent. He never uses a stroller at home anymore, so it is hard to know what is best. Hi. 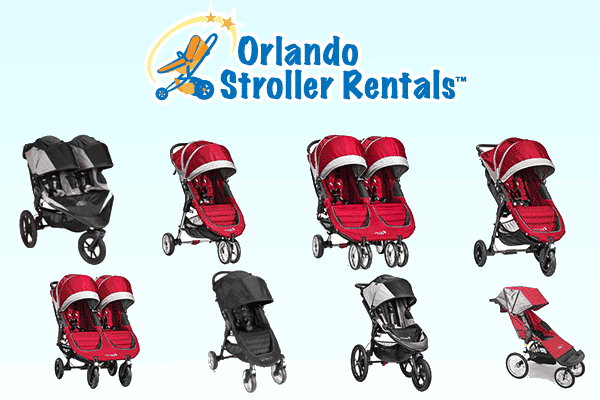 We used Orlando Stroller Rentals in July 2011, and had no problems with the stroller or the service. We thought it was great! Now I am looking to get a stroller for an upcoming trip in July 2015, and was wondering if Orlando Stroller Rentals is still getting good reviews or if we should investigate Kingdom Strollers instead? Thoughts? Thanks! I am not usually one to write a comment but I just had to say something this time. Thank you! 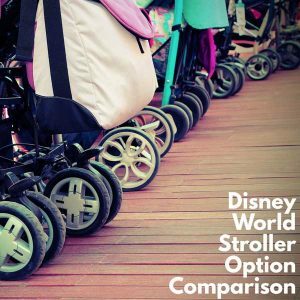 This information has been the most helpful information I’ve found on making a stroller decision for Disney. I have talked to people and researched online and was going back and forth between bringing my own (not so great) stroller and renting one from Disney. I NEVER considered renting one from another company and it was much more affordable then I could have predicted for a really nice stroller. I am going to Disney mid May with my 18 month old and almost 4 year old. Needless to say I am anxious about how to travel with them through the parks/buses etc.! Now I feel totally at ease. 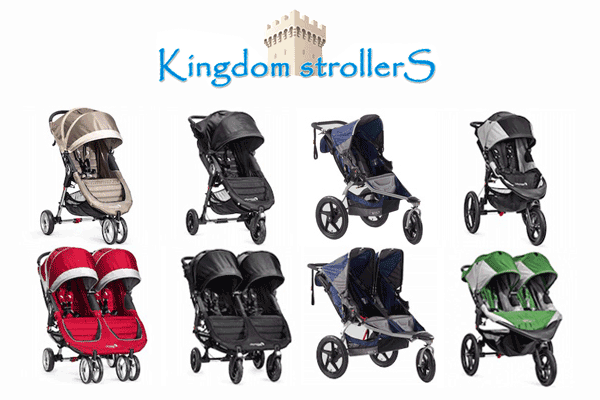 I reviewed some of the suggested companies and decided to go with Kingdom strollers. I emailed them a question and the owner emailed me back within 5 minutes (this being at 10:00 pm EST). I picked my stroller for delivery to my hotel with also delivery of bottled water. Plus the grocery coupon is a plus for us. My youngest son has food allergies so I have to have plenty of “safe” snacks on hand for him and I’m going to have them delivered to the room free of charge because of renting from Kingdom strollers. I had been wondering how I was going to either travel with all of the food or go grocery shopping when I got to Florida (not really how I wanted to start my vacation). So far I’m very impressed. This post has been a life saver thank you. I made a reservation for a double stroller from Magic Strollers. They were the only company that would allow me to pick the stroller up from the resort where we are staying and let us drop it off at a different resort. On our last day, we want to spend a few hours at Animal Kingdom before heading to the airport for an evening flight. Our hotel is the Polynesian and too far to drive back to drop off the stroller. So they are allowing us to drop it off at the All Star Sports Resort, much closer to where we will be. I was just at Disney World and rented from Kingdom Strollers and can’t say enough great things. It was a wonderful experience, so professional, affordable and Matt was extremely helpful in helping me figure out which stroller would be best for my son. Ok, we are taking our 7 yr old and 4 year old to Disney in May. In previous years we have taken our own double strollers. This year we will be renting since they do not fit in any together that we have, lol! My 7 yr. old weighs 60lbs and my 4 yr. old 40lbs. 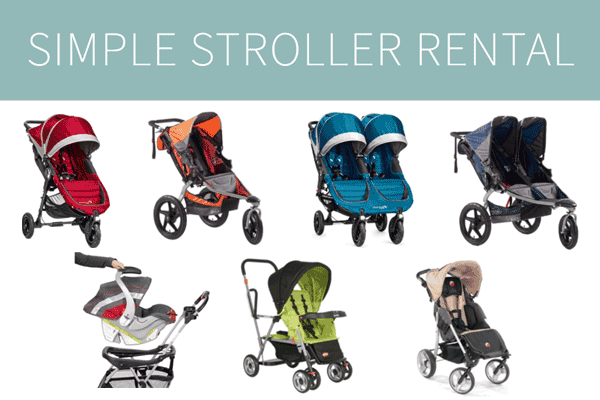 Which stroller will work for us and which company should we rent from? Any advice you can give is GREATLY appreciated! I am going crazy trying to decide!! We did 7 trips with my dd between 18mo and 9yo adding in ds for the last 3 from 2yo through 5yo. We always brought our own stroller. It was needed through the airport and it made no sense to us to pay to rent something that we already owned. Stroller was only used through 4yo or so. The trip when ds was 2yo and dd was 6.5yo we did allow dd to jump in the stroller when ds was in the carrier napping, but other than that…no strollers over 5yo. Both kids did great w/o the stroller (dd’s trips at 6 & 7 and ds’ trip at 5.5). If the stroller isn’t there..they won’t use it! Totally not necessary for older kids unless you have a special needs situation. Thank you for this. We’ve rented baby gear in other cities before but I’m still not sure what to do for our DW trip in January. We will have a just-turned-2 year old and an almost-5-year-old. We own a double City Mini GT, which has a little more headroom clearance than the standard City Minu (older daughter is 45″ now), and that’s what I would need to rent for the older on to be comfortable without removing the sun canopy. I love renting but we need at least a single stroller at the airport for my little one. We are staying at the swan so we will need to take a cab… Meaning my biggest concern is the space the stroller takes up in the trunk. Does anybody bring a single and rent a double or is that just ridiculous? (My husband is traveling back with them himself while I stay in Orlando for a conference so a single is somewhat less cumbersome for him going home as well.) we do also have a set of go go baby wheels we could get the 2-year old through the airport on. My 4 year old loves to ride in the stroller (more than her younger sistrr) but can also easily walk the airport – we bring a double to the zoo or when I want to walk to a place that’s a mile away but not really anywhere else. When we went and had the same ages we took an umbrella stroller for the little one. Doesn’t take much room and easy to use in the airport. When we got to Disney we then rented a stroller from an outside company. You do not want to use Disney strollers. We are traveling to DW in a month. We have a 4 and 1 y/o. We planned on taking our great Chicco stroller but now I wonder if we should rent a double instead? The advantage to our regular stroller was that we would have extra storage space and it lays back for sleeping. My question is – do we take the Chicco and bring an umbrella too? Or do we use the Chicco and rent one? Or just rent a double? So many choices! i really appreciate the research and dedication that has gone in to this. Highly recommend kingdom strollers!!!! So accommodating and strollers were immaculately clean. Just an FyI for everyone, we used Apple in May and I would not go back. We rented a double stroller and while it was there when we checked in, it was in awful condition. There were rips in the fabric and one of the canopies was broken. I called them right away and they told me they would have their repair person call me. He did and told me he would have a new stroller delivered to us so we could switch them out. That would have been great if they had ever done so. After multiple calls it never happened. When we returned from our trip I called again to speak with someone about our experience and at first they tried to tell me I never called them about the problem we were having during our trip! Then I was told he would send the complaint to the correct department and I’ve never heard back from them. Next time I will go with another company. The first time we went to Disney World, our daughter had just turned one. 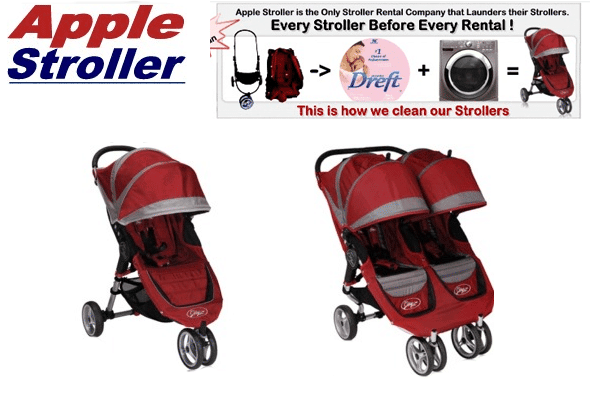 We rented from Apple strollers, and had a great experience with them. We used our baby carrier while in the airport. The second time we went, she was 18 months old, and super mobile. We brought our stroller on the plane, as we needed a way to “contain” her in the airport. (She’s a runner!) I liked renting better, and if we weren’t driving this time, I would do it again. We went to Disney in February with our twin 4 year olds. We rented a double stroller through a Baby’s Best Friend due to recommendations from a friend. We were supposed to leave on a Sunday and our flight was canceled due to snow. We rescheduled to get in on Tuesday. When I called BBF to reschedule our pickup I had to leave 2 voicemails and an email to get a response from them. They told me that they couldn’t deliver to me on Tuesday and would have to schedule the delivery for Thursday. I don’t know why they couldn’t deliver and where the stroller I was supposed to get on Sunday was so I was a little disappointed with them for that but the stroller and monitor that we rented worked great for us. We will be traveling with a 6 1/2 year old and 5 year old at the end of July. My 6.5yr old is 70lbs… so I’m not sure a double would be an option! 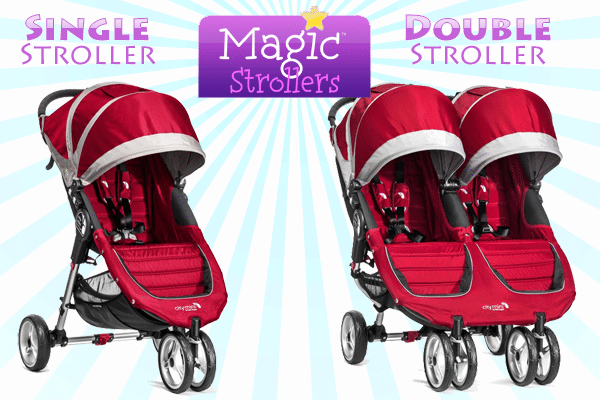 Would you consider just getting one single stroller that they share, a double or two singles? I also considered buying; thoughts? I know it’s been a long time since your trip, but what did you end up doing? I have a 63lb 6.5yr old and a 30lb 3yr old and can’t decide what to do. I really don’t want to lug a heavy stroller on/off the park buses, but I don’t know if one of the Disney strollers will suffice. We rented from Kimgdom Strollers when we stayed at Port Orleans Riverside March 30-April 6 2014. I highly recommend them. The stroller was waiting for us at the resort when we arrived and we just left it with bell services when we left. So easy. We went to Disney last fall when our boys were 4 and 2. We ordered a double Jeep umbrella stroller along with a mesh bag to attach to it for extra storage and had it shipped to family in Orlando. I think total we paid $100 and it was the best decision we made. Having the stroller for trips outside the park was essential for us (walking the parking lot, etc) and most of the time the tram was empty enough that we could wheel it right on sleeping kids and all without having to fold it up. We are heading back next Jan and bringing our girls too this time (so we will have 5, 3, and two 1 year olds) and I will be buying another identical stroller to use. If we didn’t buy one I would definitely rent from a non-Disney site, as we would never have gotten by having to leave the stroller in the park. We will be traveling with a 6 year old and 3 1/2 year old. What are your thoughts on getting a single stroller that they share or a double? I would probably go with a double for them. Would you rent one from an outside company or use a Disney one? Total weight for my girls I’ll be around 90lbs. I’m just concerned about lugging a huge stroller on park transport. We’re going the from Nov 29th – Dec 6th. Kingdom Stroller also does delivery of packs of water bottles. As that was the only grocery item we didn’t pack that was quite handy and helped me choose them over other options. Thank you so much for all this information! I’ve been debating back and forth on whether to take the large stroller have (takes up half the way back of our wagon), buy a new/used stroller with a smaller folded footprint, or rent when we get there. This shows me there are many more options for renting. Is your spreadsheet downloadable? I would love to be able to save a copy of it, if possible. Sure – you can copy all of the data and paste it in your own spreadsheet. Perfect timing! This was next on my list to figure out for our first trip in May. We are driving and could take our own but we don’t have a double, so are looking at renting. We have a one and 4 year old. Do you know if any of the less expensive companies allow you to pick up the stroller rather than having to meet them at the resort? Thank you so much for this post! My family will be going in 2015 with 4 babies under 2. Great info to be able to pass along. We have rented from Kingdom Strollers every trip. We rent a stroller and a full size crib- they are fantastic. The items are at the resort by 9am on day of arrival, strollers come with a rain guard, and everything is clean and in excellent condition. I highly recommend!!! I was wondering why there is not mention of Travel BaBees. This company has been in business since at least 2010. There is a minimum order of $50 and a $40 delivery fee. They will meet you at either your resort or the airport. I have talked with the phone with the owner since Disney announce going to preferred vendors and she told me that they would even meet a family at the airport for items like car safety seats and than at the resort for additional items. A standard single stroller is $42 a week or $7 a day, Standard Jogger is $60 a week or $10 a day, and a Bob Premium Jogger is $78 for a week or $13 a day. 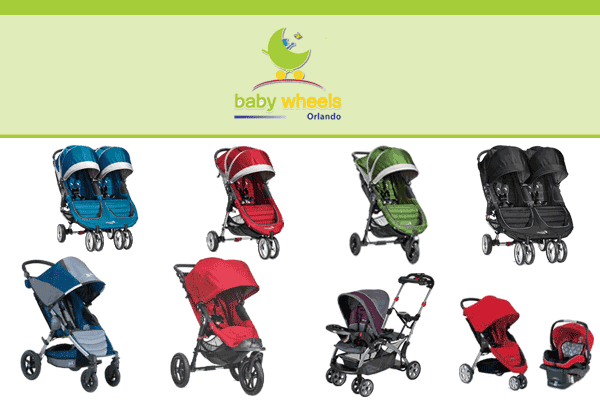 Double strollers range from $60 to $96 a week or $9-16 dollars a day styles include Tandem, side by side, Jogger, and Bob. They also carry travel systems including the Bugaboo which has both an infant bed similar to a British Pram style or a toddler seat that reclines making it perfect for the parent with a slightly older special needs child who might be on a either tube fed or on a breathing tube. A number of special needs families with children who have these situations use this stroller in my area because they can actually see their children in order to keep an eye on them so they can immediately intervene in an emergency situation before it either becomes life threatening (in the event of a breathing tube coming loose) or expensive and messy ( in the even of a feeding tube being pulled out). While these parents would not be able to transfer their children to a ride attraction during a feed they can start it while having their own lunch and than be able to go enjoy one of the show attractions, walk around enjoying the scenery, or even shop in the stores. Besides Strollers Travel BaBees can provide items like Cribs, pack in plays, toddler beds, toddler areo beds, bed rails, changing tables, gliders with ottoman, high chairs, booster seats with tray, bumbo seat with tray, various styles of car and booster seats, baby swings, bouncy seats, exersaucer, activity gym, boppy, age appropriate tub of toys (they will even mix ages for parents who have a variety of ages of children), TV/DVD combo, Nitindo Wii with 2 controllers, set of 3 DVDs that are age appropriate for your children, Child’s Table with 2 chairs, six panel surround gate, safety gate, audio monitor, video monitor, humidifier, bottle warmer, wipe warmer, bath tube, potty seat, step stool, diaper champ, and wagon with canopy for rent. They also have diapers, wipes, and disposable training pants in brands such as Huggies, Pampers, and Seventh Generation for purchase. Please consider adding this information to the site for other readers. That company doesn’t get great reviews and it wasn’t recommended when I asked readers for company recommendations to use in this post. How was your experience with Apple Rentals? It was our first experience renting a stroller at all. I called initially to make sure it didn’t seem like a scam (ha!) and to inquire about the parent console and raincover options. I later booked it online without a credit card. A few days before we left, I called in my credit card information. It was delivered and with the bellman when we went to pick it up. It was wrapped in paper and clean. The double stroller was easy to use. We had no problems and would definitely use them again. And Abbie, I had not used that brand of double stroller before and looked up a youtube video to make sure I knew how to close the one we rented. The Baby Jogger City Mini was REALLY easy to fold. There are straps on each seat that you pull up and it folds. Thanks, Shannon for a great overview of stroller rentals, and thank you, Curtis T, as well. With my 3 and 5 year old kids in tow, it looks like I’ve made a good decision on renting a double stroller for them. What a great source of information! If you are touring these parks with children under 7 or 8 years old you will want a stroller. My 6 year old spent so much time in the double stroller from baby wheels last year it saved the trip. We carried all of our gear in the stroller and it was a perfect place for shade.